In facial care, anti-aging begins with exfoliation but this is also true for pregnancy body care as well. Exfoliation preps the skin for better product absorption and more importantly, kick-starts your skin’s natural repair process that tends to slow down after the age of thirty. To make sure you are smoothing skin and not damaging it; avoid salt scrubs—they are drying and can cause more damage. Additionally, loofahs and shower mitts can be too rough and lead to micro tears which harm the skin. Many everyday scrubs have clary sage, rosemary and caffeine – these also should be avoided during pregnancy. 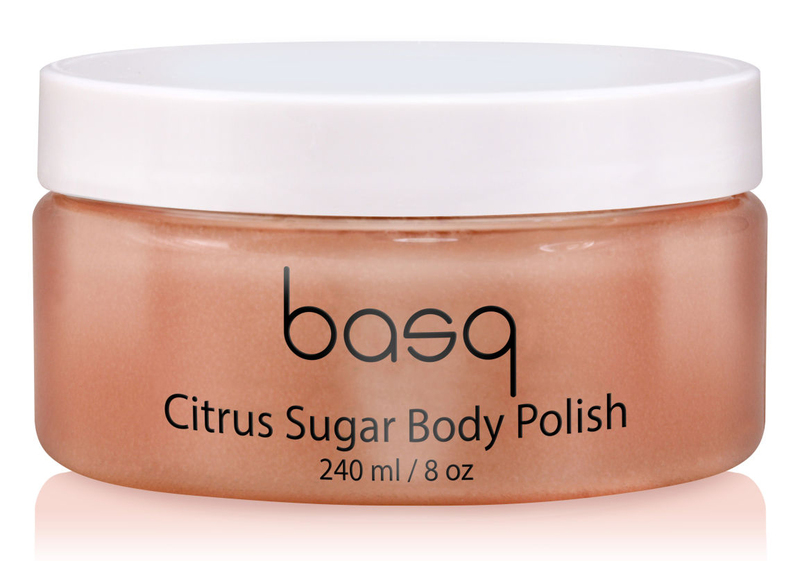 We created Basq Citrus Sugar Body Polish for pregnancy-safe exfoliation. The natural sugars gently smooth while rich oils and butters nourish the skin. Focus on mark zones— chest, belly, thighs and hips—for best results. Check out steps 2 and 3, Combat Stretch Marks with Basq’s Butter + Beat Stretch Marks with Basq.